Shrewsbury – Last November, the new Kenneth F. Burns Memorial Bridge, which connects Shrewsbury to Worcester via Route 9, officially opened to great fanfare. The bridge, which replaced the nearly 100-year old bridge spanning Lake Quinsigamond, was completed ahead of schedule and under budget. 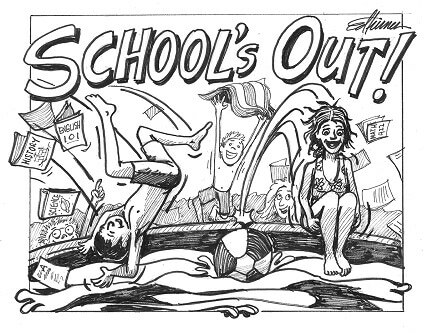 Region – Listen closely and you will hear the sounds of summer – kids cheering, teachers breathing a sigh of relief, and perhaps some parental groaning now that school is out for the year. But have no fear parents…the Community Advocate is here to help!